PALM SPRINGS, Calif. – The Washington Blue Sox scored 10 runs in the final three innings of play to defeat the Manitoba North Stars, 10-3, in the 2018 California Winter League Championship. For many of the 200-plus players in the CWL, professional baseball is working its way closer on the horizon. Although the showcase league is particularly focused on moving individuals forward in their respective professional careers, the Washington Blue Sox are able to collectively celebrate an achievement they have been working toward since January 22nd. Carson Lee may have put it best in his postgame comments following his 3-for-4 performance with four RBIs, a stolen base and a run scored. 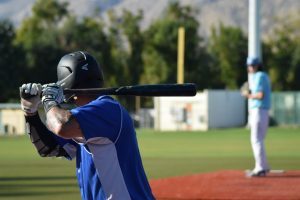 Lee is one of the several Blue Sox who have taken on an approach instilled by manager Winston Abreu to go out and enjoy. For Abreu, his first experience in the California Winter League resulted in a title. Abreu and the Blue Sox benefited from an added arm in their bullpen in the form of Kane McCall following the elimination of the Oregon LumberJacks. The move proved to be pivotal, as McCall allowed just one run on two hits and got the win in 4.2 innings of relief. After being shutout through the first five frames, Washington’s offense erupted in a big way in the sixth. KC Huth led off with a base hit, and Marc Culmer followed with a massive two-run home run to cut the deficit to one. Then, in back-to-back frames, Lee took the dish in run scoring opportunities. Lee converted in the sixth with a two-RBI single to give the Blue Sox a 4-3 lead, and came through again in the seventh with another two-RBI single. 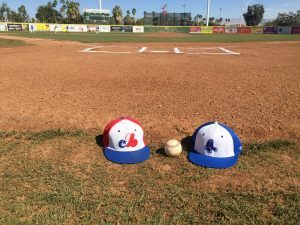 The celebration is on for the Washington Blue Sox, as they represent the California Winter League as Champions of 2018. The win effectively means the season is at its conclusion. Both Lee and Culmer shared what can be applied to nearly all the CWL participants this year. Overall, the season was an experience that will be cherished as they move on to the next chapter of their lives.